The Canadian people have long had a deep association with the maple leaf, starting with the French Canadians along the Saint Lawrence River in 1834, proclaiming it “the king of our forest; … the symbol of the Canadian people.” From there it spread as a symbol of national pride, even appearing on the Coat of Arms of both Ontario and Quebec. So Iconic had this emblem become that in 1965 it was elevated to being the symbol for the entire country when they adopted the Maple Leaf design of Canada. 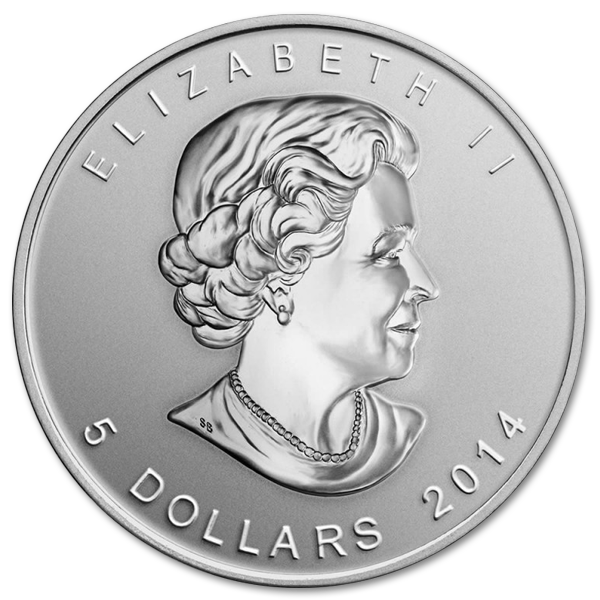 Now it graces the reverse side of these 1 Oz Silver Maple Leaf Coins that are issued each year. 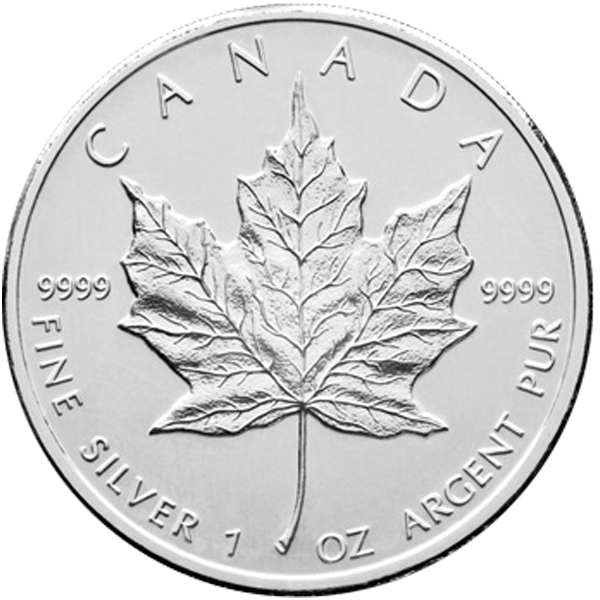 The maple leaf coin is .9999 purity silver, weighing 31.1g, both the weight and purity guaranteed by the Government of Canada, one of the elements that makes it well loved by collectors and trusted by investors. The obverse surface of the coin bears the regal profile of Queen Elizabeth II, the Queen of Canada, while the reverse bears the beautifully detailed maple leaf, national symbol of Canada. While we couldn’t imagine anyone wanting to do so, it’s also legal tender in Canada for the marked price of $5 dollars. 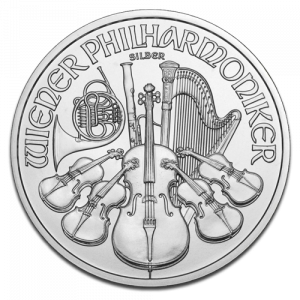 Every year since 1988 the Royal Canadian Mint has released a new minting of this iconic coin, remaining largely unchanged since its inception until the addition of extra security measures in 2014. 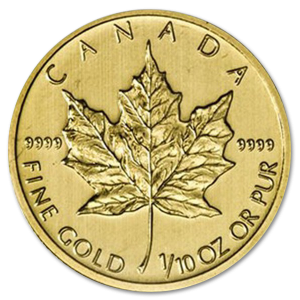 While there is a marked price of $5 on the front of the maple leaf coin, price can actually vary depending on the day to day fluxuations of the silvermarket. 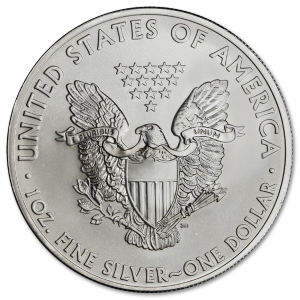 While the coins creation was spearheaded by Walter Ott, it was Senior Engraver Stanley Witten who was responsible for creating the beautiful and intricate designs that can be found on both sides of this coin. The regal bearing of Queen Elizabeth was carefully wrought in this silver medium, her face bearing the familiar mother-like smile that makes her so beloved of the Canadian people, while the leaf on the reverse side is crafted with every vein and ripple of the leaf visible, a tribute to the incredible attention to detail for which Stanley is renowned. 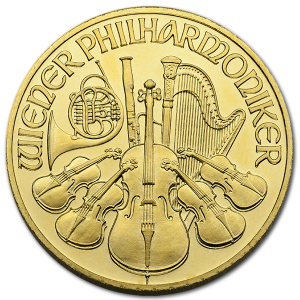 Simple, masterful, and beautifully wrought, this coin is a piece you can be proud to own, and with its guaranteed purity, you can feel good knowing these bullion coins are an excellent investment in your future.